Buying the Pixel 2 or Pixel 2 XL: Do You Go Verizon or Unlocked? “Which Google Pixel 2 should I buy?” is a question we have already been asked a number of times by DL readers. Do you go unlocked or Verizon version? While Google’s phones are sold unlocked and work on all carriers, you still have some decisions to make about where and how you buy one, plus Verizon is in the mix and that always makes our stomach turn a few times. So what we thought we’d do here is help you make a decision and finally buy the Pixel 2 or Pixel 2 XL from the place that works best for you. Which phone do you buy, the Pixel 2 or Pixel 2 XL? Honestly, this is a choice that is completely up to you and depends on your need in a phone. Do you want a smaller phone with bigger bezels and an extra color choice or do you want a bigger phone with less bezels and one less color choice? You see, the Pixel 2 and Pixel 2 XL contain the exact same specs (processor, RAM, storage, camera, front stereo speakers, etc.) outside of their display size, battery size, and front design, so that’s really what this boils down to. Small or big? Somewhat old school design or mostly modern design? These phones will get updates at the exact same time, see the same amount of support (a full 3 years), take the same level of pictures, have access to the same Pixel software experience, and never have headphone jacks. While HTC did build the Pixel 2 and LG built the Pixel 2 XL, Google will treat them as Google phones without acknowledging who made them because they are Google’s phones, not HTC’s or LG’s. OK, with that out of the way, let’s dive in. Unlocked or Verizon Pixel 2? What’s the difference? When you buy the Pixel 2 or 2 XL from the Google Store, you’ll need to make a choice – do you want the “Unlocked” version or the “Verizon (includes SIM)” version? First, we need to understand what the difference is. According to Google Support, the “Unlocked” version is “an unlocked phone that works with all major carriers (including Project Fi).” The “Verizon (includes SIM” choice is a “Verizon-enabled phone with a Verizon SIM card pre-inserted.” That tells you very little, unfortunately. So what is the difference? Well, there isn’t much of one at all, actually. I say that because the Pixel 2 and Pixel 2 XL are unlocked phones that do indeed work on all major US carriers and support 21 different LTE bands here, including those from AT&T, T-Mobile, Sprint, US Cellular, and of course, Verizon. We aren’t sure why Google and Verizon are making this somewhat confusing, but it probably has to do with Verizon’s exclusive deal to be the only carrier in the US to sell the phone. Either way, if you buy the Verizon version of the Pixel 2 or Pixel 2 XL, you can then take it to any carrier you want and it’ll work. For example, T-Mobile is running a promo where they’ll give you $325 if you bring the Pixel 2 or Pixel 2 XL to their network. Their terms list the Pixel 2 or 2 XL from “Google, Verizon or other original retailer,” because the phone, no matter where you buy it from, is unlocked and works everywhere. As for the Verizon SIM card coming pre-inserted, well again, that’s likely because Google has this exclusive deal going with Verizon and a pre-inserted SIM makes activation of the phone on Verizon’s network that much easier. Now, if you buy the Verizon version you can open the SIM tray and put in whatever SIM card you want, reboot the phone, and it’ll then connect to that network (assuming you have an active SIM card). Just because the phone ships with a Verizon SIM, doesn’t mean it’ll forever just be attached to Verizon. SIM trays open, folks. There is no difference in the hardware from the unlocked version to the Verizon version. They feature the same specs, same software experience, and come in the same colors. Well, it actually looks like Verizon may have an exclusive on the Pixel 2 in Kinda Blue, since you can’t order it as the unlocked model. So there, that would be one difference. When you buy a Google phone, you likely do so knowing very well that their phones get software updates the fastest. Being Android, that’s always going to be a concern when you buy a phone that isn’t from Google. Here, you’ll get fast updates no matter which Pixel 2 or 2 XL you buy, at least that’s still our assumption. I do not believe that either Google or Verizon has said specifically, but last year, Verizon committed to pushing major OS updates to the Pixel and Pixel XL sold through them at the same time as the unlocked or Google Store versions. The arrangement allowed Google to push monthly security patches to all phones, while allowing Verizon to review and do testing of the major OS updates yet still get them ready with the rest of the Pixel devices. Verizon said last year that “when Google releases an update, Verizon phones will receive the same update at the same time. (much like iOS updates).” We have no reason to think that anything will change this year. Also, Verizon did stick to their word and the major updates were pushed to Pixel phones with other non-Verizon Pixel models. One aspect of Google’s phones that has always excited the nerds among us is the fact that their phones have unlockable bootloaders. If you don’t know what that is, you can probably just skip on by, but the main takeaway is that they are ultra-developer friendly. An unlocked bootloader allows you to take advantage of additional customizations provided by 3rd parties. With last year’s Verizon Pixel and Pixel XL, Verizon locked down bootloaders. In other words, if you bought a Pixel or XL from the Google Store, you had an unlockable bootloader and some extra freedom, while Verizon said, “Nope, you can’t do that to our phones.” We don’t know how any party is treating bootloaders at this point, but I would assume it’ll be similar this year. Once we know for sure, we’ll update this section. However, if an unlockable bootloader is something you must have, you should skip the Pixel 2 that has any sort of Verizon branding next to it. As for bloatware, Verizon did pre-install My Verizon, go90, and Verizon Messages apps last year on the Pixel and XL when a Verizon SIM is inserted and activated. All three could be uninstalled, though, so that’s not really that big of a deal. No documentation currently posted by either Google or Verizon says if that’ll be the case this year. My assumption is that it will be. See, not many differences, right? To recap, you have “Unlocked” and Verizon Pixel 2 phones that have the same hardware, work on all of the same networks, and are expected to receive updates at the same time. The only real issues to worry about are locked bootloaders and a couple of uninstallable bloatware apps. In the end, the safest bet is always going to be Google’s “Unlocked” versions over those from Verizon because again, Verizon often does questionable things that make us vomit. For the most part, though, you should be good either way. Google Store, Verizon, or Best Buy (or Target!)? Now that you’ve decided which phone and which version to buy, let’s talk about where you might want to buy it from. The Pixel 2 and Pixel 2 XL can be purchased from four different spots as of today: Google Store, Verizon, Best Buy, and Target. Target is the new player this year. If you walked through everything above and decided that you aren’t going to risk dealing with Verizon and will just buy an unlocked Pixel 2 or 2 XL, then your only choice is to shop on the Google Store. That’s right, the unlocked models are only sold there at this time. You’ll find standard Pixel 2 ($649, $749) and Pixel 2 XL ($849, $949) pricing, along with a newly launched trade-in program. As of today, Google will give you up to $410 back depending on what you trade-in. So far, the original Pixel and Pixel XL are the phones fetching that much cash, so if you wanted to upgrade from last year’s phones to this year’s, Google’s store is probably your best bet. The Google Store offers their own support, along with an upgraded Preferred Care package that will cost you $129. This Preferred Care gets you 2 years of worry-free protection for “mechanical breakdown and up to 2 claims for accidental damage.” That also includes access to participating walk-in centers for screen repairs. The rest of Preferred Care includes 24/7 support with trained agents and unlimited expert sessions to learn tips and get the most out of your new phone. Finally, the Google Store has its own financing options, so if you don’t want to pay full price, you can breakdown the cost of a Pixel 2 or Pixel 2 XL into monthly payments. 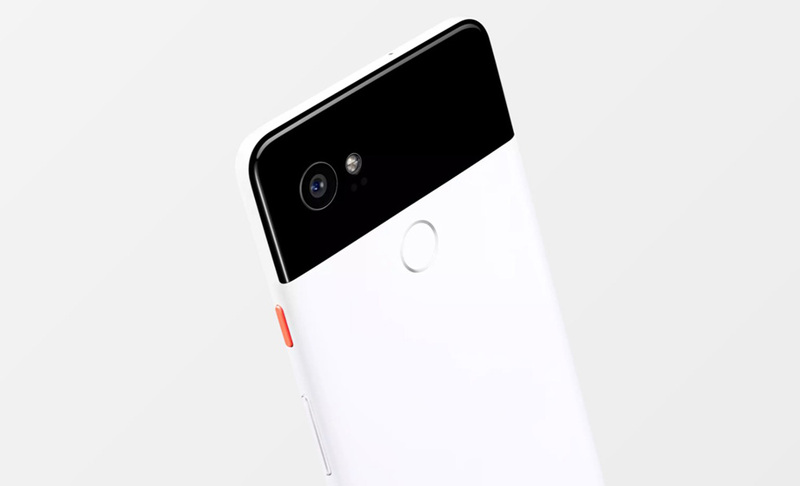 If you don’t think you’ll need the unlocked version, then you have some choices in terms of where you can purchase the Pixel 2 and Pixel 2 XL. As of today, Verizon, Best Buy, and Target are all selling the phone with various deals. Depending on the day, you could get an instant $100 off from Best Buy or up to $300 off for a trade-in at Target or Verizon shops. All three of these offer you the choice between full retail purchases and monthly payments. Many of their deals force you into payment plans, though, because that’s their way of locking you in to 24 months worth of service. Target appears to only have the 64GB versions of each phone, while Best Buy and Verizon have both 64GB and 128GB options. Again, Verizon seems to have an exclusive on the Kinda Blue Pixel 2, so that means all three of these retailers will sell you that color. I think that about does it! I’m exhausted now after going through all of that. Please send beer. NOTE: I may add to this post over time to help answer any additional questions that come up.